The most famous and largest in-door amusement park of the world, the IMG Worlds of Adventure spans over 1.5 million square feet. 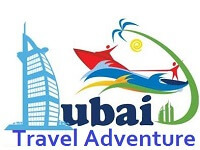 It is open all year round and is located in a central location in Dubai. The first thing to mention is undoubtedly the one place which has excited many visitors to the park. The Haunted Hotel has been praised by many who have visited it. Only people aged 15 years and above are allowed (which is understandable). The Haunted Hotel presents mazes and changing scenarios. 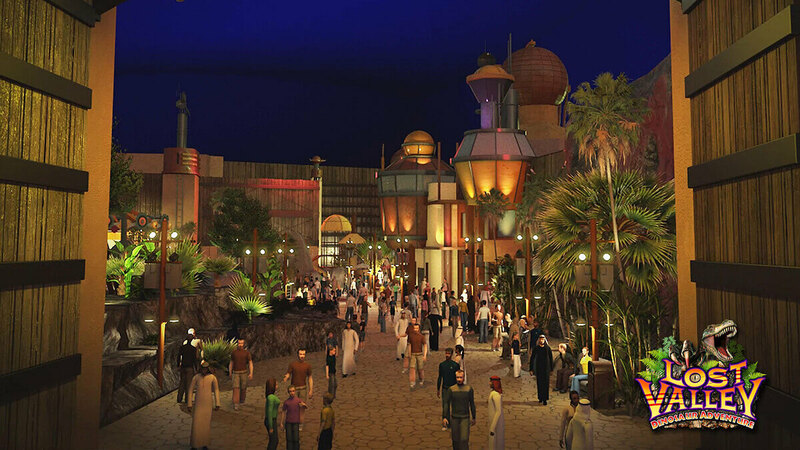 The different environments involve different characters as well, which are very much appealing to the guests. Moving on to the plethora of rides and attractions available at the Worlds of Adventure. Let us explore the many creative flavours of exciting adrenaline fuelling rides and attractions being offered at the IMG Worlds. IMG has labelled its various rides as either “For Kids”, “Family Ride” (adults required) or “Big Thrill” (for slightly older children). Hopefully, you will be able to find one that will suit your quirks and desires. First off, we’ll mention those of the MARVEL universe. 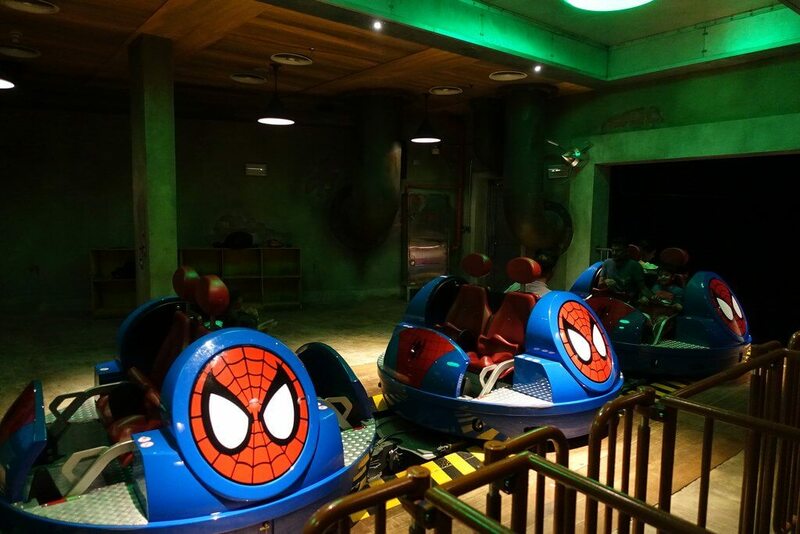 These rides are all dedicated to the famous and ultra-successful franchise of movies hitting cinemas these years, namely, the Avengers. The whole environment is specially catered for people, mainly teenagers, kids and young adults who are die-hard Marvel fans. This one is open to children as well as families. Height range is between 1.3 m and 2.08., but if a child is accompanied by an adult, heights as low as 1.05 m can be accepted as well. This one is labelled as a “Big Thrill” by the IMG World. You can expect a much more extreme momentum in these kinds of rides. Minimum height required is 1.2 m without an adult, but 1.05 m with an adult. Another “Big Thrill” attraction, in which you can sit in a highly momentous 3-dimensional cinema dome building, watching a huge realistic Hulk fighting off his nemeses and actually feel the motion penetrate through you. The 360 o view is absolutely out of this world; children and adults alike leave the dome feeling dazed and wishing it hadn’t ended. Height range is 1 m to 1.95 m max. This one is similar to the Hulk Epsilon Base, the main difference being that it is Thor starring instead of Hulk. Oh, and yes, there is a lot more lightning and flashes this time too. So if you prefer Thor over the Green Guy, you might as well visit just this one. Height restrictions are from 1.4 m to 1.95 m.
The Avengers Flight ride is quite different from the previous ones and is open for all age ranges, not just kids. But this is especially fun for the younger audience I daresay. You can get into a small quinjet, in pairs or individually, and then participate in an awesome race on the Avengers Battlefield in those peculiar Quinjets. Height restrictions here are 1.3 m without an adult, and 1.05 m with an adult. Hanging out with popular superheroes is cool and all, but do you want to know what’s even more super? How about spending some time with terrifying monsters? Yup, if you are excited by the prospect of walking along giant dinosaurs of the lost world, the following bunch of rides may be for you. This one is an extreme “Big Thrill”, so beware. It is not recommended for very young children and certainly not for those with the slightest degree of “dino-phobia”. It can get scary, but looking at it from another perspective, it can become extremely awesome and thrilling for you. Height range allowed is 1.3 m to 2.08 m. With an adult, as low as 1.05 m allowed. Predator is also a “Big Thrill”. It’s a bit of a monster mania, with mainly carnivorous species of dinosaurs with terrifying long fangs ravaging at you. Just a little forewarning for the weak hearted though. Height must be more than 1.25 m.
This one is for family, and the height range is 1.3 m to 2.08 m. With an adult, 1.05 m acceptable as well. Enjoy the full extent of holograms and augmented reality as you immerse into the Dark Forbidden Lands of Old. The scare factor exists here as well, though, to some extent. Especially for Kids, this huge dino-themed merry-go-round features less scary and more friendly dinosaurs. Children can enjoy rides on the backs of T-Rex dinosaurs (if they find one friendly enough though). Minimum height required is still 1.05 m though. Let your children stand on their feet and learn the skills of protecting a village from a dinosaur attack. Children will get to enjoy quite a lot, with ladders, tunnels, bridges etc. Minimum heights are 1.25 m and 0.95 m without and with adult respectively. Lastly, the major set of rides for children primarily is the Cartoon Network zone. The following rides are offered here. This is the only one of the CN rides that has been labelled as a “Big Thrill”. Kids taller than 1.35 m can enter without adult supervision but those between 1.25 m and 1.35 m need an adult. Bad news for those even shorter though. The little ones can enjoy a thrilling adventure with Blossom, Buttercup and Bubbles to fight Mojo Jojo and his accomplices. A “Family” attraction, accepting all children with adults, but only taller than 1.3 m without them. This one offers you the action-filled adventure with Ben and Rook, learning to be a Plumber at the Plumber Headquarters, but with the looming threat of Khyber the Huntsman. So be on your guard! Travel through the great kingdoms, meeting with the Ice King and princesses along with many other characters come to life. If kids want to enter without adult supervision, they’ll need to be at least 1.3 m in height. Enter the town of Elmore and help Gumball and Doctor Darwin regain control that they have lost to the strange zombie-like creatures that have come to life and are plaguing the town like wildfire. Without adults, the minimum height requirement is 1.2 m here. There is a lot more to the park than just the rides. 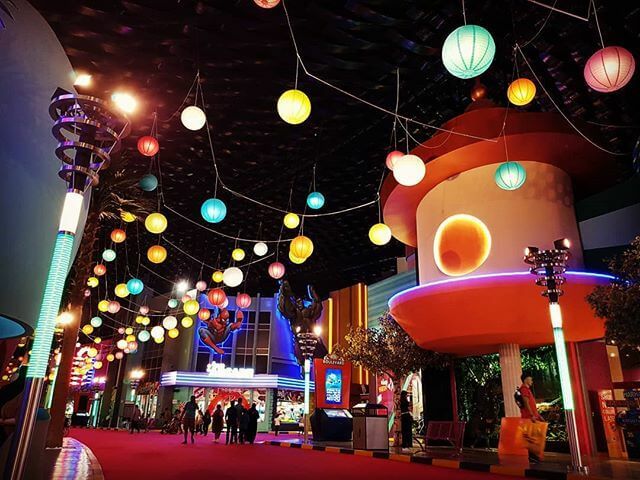 Each zone has its own themed set of shopping malls as well as restaurants. Be sure to check out those on their website as well. The Novo Cinemas offer all the blockbuster movies in a capacious hall. Of course, the ticket rates change over time and it is best to check up on their official website. They also have a helpline if you are unable to book your tickets if they are all out. Further, you can get an annual pass at a discounted rate too (AED 383) if you plan to visit there frequently throughout the year. Get one ticket and enjoy the park all day long (although it is recommended that you spend only about 3-5 hours there). You should also know that if you book online, you can get bundled discounts which involve the Ultimate Fast Track, whereby you are given preference in queues over regular ticket holders. As you might have expected, generally the reviews of IMG Worlds of Adventure are astoundingly positive, with a few subtleties to consider of course. People usually enjoy when the park is moderately crowded. If it is excessively crowded, then chances are you might have to wait in queues for quite long, while those with a UFT ticket get preference. On the other hand, if you happen to visit during a low holiday season time of the year, you might not see a lot of hustle around. The emptiness would then disappoint you. Plus, some rides require a minimum count of guests before they can operate. Thus, it would be judicious to plan your visit with these factors in mind. 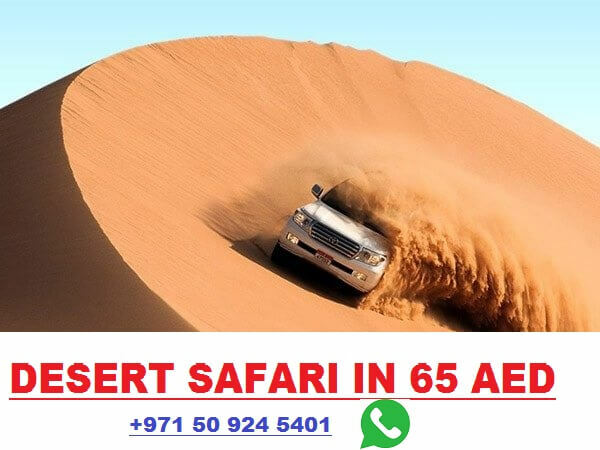 Since the Worlds of Adventure is internally controlled with regards to temperature, visitors love to go there during the peak summers of Dubai, as there are limited options for tourism during that time. Another thing worth mentioning here is the delight expressed by disabled citizens for the extra and appropriate facilitation present for them as well (including the cheaper tickets of course). However, be aware that some people have given negative reports regarding the behaviour of the staff at the theme park.